Public speaking anxiety holding you back? Move past that fear! It’s not your fault and it’s not permanent. Thousands of professionals like you have a very real anxiety. Toastmasters or other presentation training generally doesn’t help. Fear of public speaking goes deeper than that. In fact, maybe this describes you: when you think about giving a presentation, your hands start to shake, your heart rate increases and you want to run away. Far away. Many of my clients describe these kinds of physical symptoms. Learn more about the fear of public speaking – what it is, why it happens and how to overcome it. It’s a pretty powerful and distracting physical reaction, isn’t it? As a result, your fear keeps you out of the spotlight. You may sit back and watch as other, less experienced and credentialed people take the stage and get noticed. Meanwhile, you’re passed over for promotions and plum assignments. 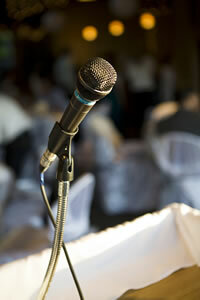 What if you could reduce or eliminate your fear of public speaking? My name is Nancy Cetlin, Ed.D. I’ve worked with hundreds of professionals like you and helped them move past this paralyzing fear. Over 35 years, I’ve worked with executives, entrepreneurs, attorneys, doctors and business people of all types to help them reach their highest potential. We can get to the bottom of your fear and truly let it go, using a powerful technique I’ve honed for public speaking fear called EMDR. As a trained psychologist and performance coach based in Plymouth, MA, my powerful techniques will help you tap into your best self and move past your fear of public speaking. Stop allowing fear of public speaking to sabotage your career. Don’t wait another minute. Together, we can do so much to clear your path to career success. We can have your session in-person at my Plymouth, MA location or remotely via Skype if you’re in the Boston area or beyond. Contact me to schedule an appointment today and start living the life you deserve. 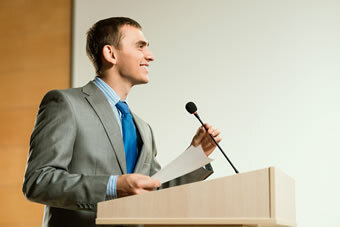 Yes, you can get over your fear of public speaking. Stop allowing fear of public speaking to sabotage your career another minute when so much can be done to clear your pathway to career success. Contact Nancy Cetlin to schedule an appointment today and start living the life you deserve.